Philosophers concerned with the question of personal identity have typically been asking the so-called re-identification question: what are the conditions under which a person at one point in time is properly re-identified at another point in time? This is a rather technical question. In our everyday interactions, however, we do raise a number of personal identity questions that are quite distinct from it. 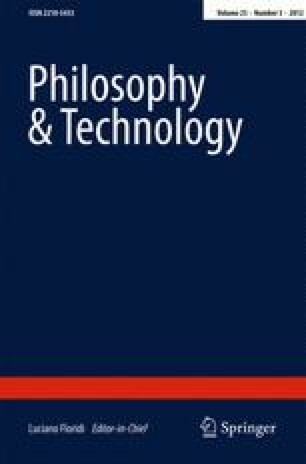 In order to explore the variety of ways in which the Internet may affect personal identity, I propose in this study to broaden the typical philosophical horizon to other more mundane senses of the question. In Section 2, I describe a number of possible meanings of personal identity observed in everyday contexts and more philosophical ones. With some caveats, I argue that it is the specific context in which the question arises that disambiguates the meaning of the question. Online contexts are novel and peculiar insofar as they afford prolonged disembodied and anonymous interaction with others. In line with our previous conclusion, then, there is reason to suspect that such contexts generate new and sui generis answers to the personal identity question. In Section 3, I examine this question and, contrary to expectations, largely dispel this suspicion. Finally, in Section 4, I discuss the often-heard claim to the effect that disembodiment and anonymity foster the creation of distinct and incompatible online and offline identities. Olson, Eric T., “Personal Identity”, The Stanford Encyclopedia of Philosophy (Winter 2010 Edition), Edward N. Zalta (Ed. ), URL = <http://plato.stanford.edu/archives/win2010/entries/identity-personal/>. Shoemaker, D. (2008). Personal Identity and Ethics. The Stanford Encyclopedia of Philosophy (Fall 2008 Edition), Edward N. Zalta (Ed. ), URL = <http://plato.stanford.edu/archives/fall2008/entries/identity-ethics/>.